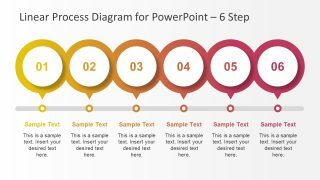 Software Diagrams for PowerPoint – Today software industry is growing rapidly and Software Engineering is becoming one of the most demanded disciplines in the globalized economy. 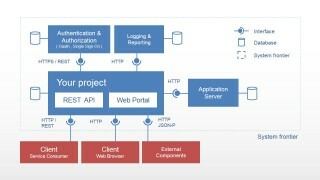 Software Engineering has developed, through the last three decades, different formalized standards for Software Design, that visually documents the software components and behaviour; examples are the Unified Modelling Language (UML) and the Business Process Modelling Language (BPML). 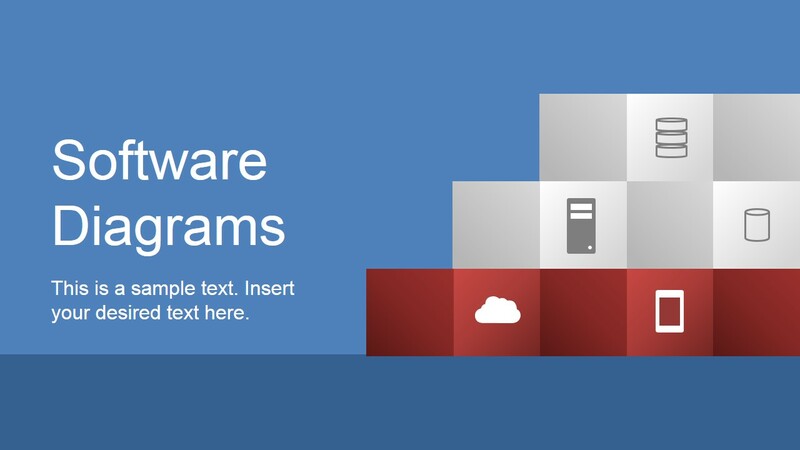 In the last years, the industry has identified that formal documentation of software products can be too expensive if the required software is short lived or in constant evolution. 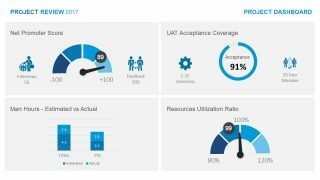 In response to this findings, is that Agile software methodologies were born, in reaction to heavily documented projects where the assets where the documents and not the working product. 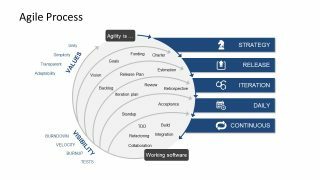 Agile projects still create documented assets , but in a much light weight fashion, with the aim to describe the modularity of software components, their high level interactions and dependencies. Our Software Diagrams for PowerPoint is a professional PowerPoint template that provides generic elements for the creation of Software Diagrams in PowerPoint. 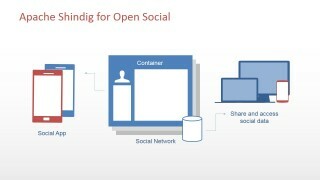 Fifteen different diagrams are provided to illustrate the user how to create their own diagrams, or to be edited by the user and adapted to their own diagram. 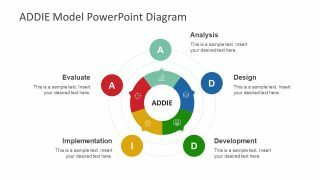 Each of the elements are created with PowerPoint shapes, allowing the user to fully customize their appearance, and create modern Flat diagrams just dragging and dropping components along the PowerPoint Slide canvas. 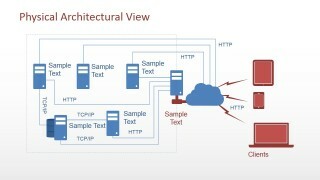 Physical Architectural Network Diagram: Servers, Network connections, protocol metaphor shapes and devices. 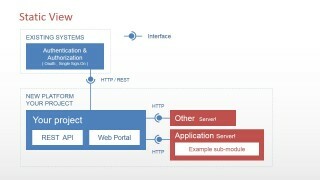 Static Block Diagram: Modules, Classes, Databases , Boundaries and Interfaces. 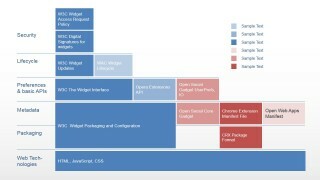 Layered Diagrams: Layers , Modules and Stacked Descriptions. 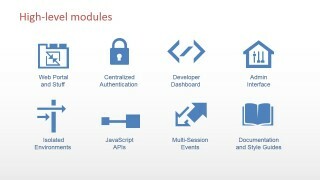 Project Overview Diagram: Modules Blocks and People Roles. 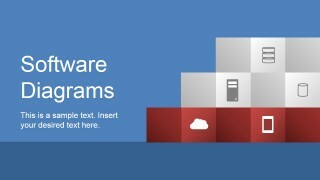 Software Clipart: Devices, Containers, PC’s, Software Icons. 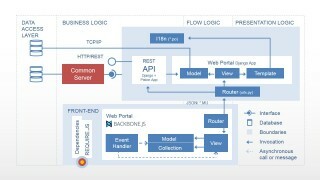 Data Flow Diagrams: Nodes and connectors. 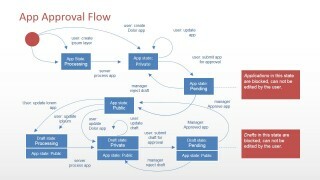 Navigation Flow Diagram: Screens, Components, Modules , Interactions Sequence. 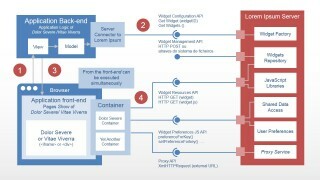 Sequence Diagram: UML Sequence Diagram. 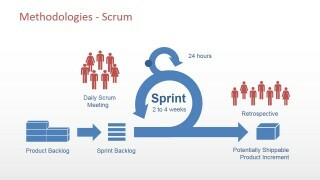 Scrum Methodology Diagram: Scrum diagram cycles view. 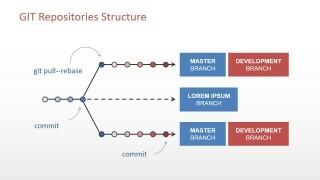 GIT Repository Structure: Branches, revision nodes and actions. 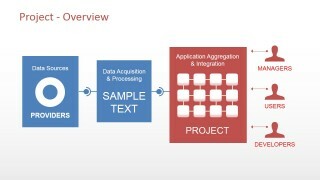 Create professional Software Diagrams in PowerPoint which are easy to read. 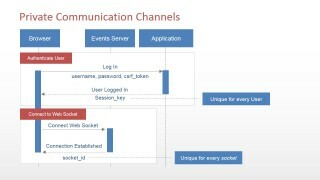 Communicate your software structures and interactions with PowerPoint and share easily with your stakeholders. Impress your team with flat design Software Diagrams that appeal to global audiences.